Anyway, on the eve of New Year, I decided to film a quick video to show you guys the things I got for Christmas. I did not get a lot of things for Christmas because I just work at home. So I did not have any Christmas parties to attend nor Monito or Monita to exchange gifts with. I also was not able to meet my friends because they were all busy with their families. That's one of the downsides of just working at home, you guys! However, the things that were given to me were still all appreciated. The next day, January 1, I also just stayed at home. (Haaay, the life of a home-based worker. Some people complain that they have to work on holidays while I long to go out, even on holidays, because I'm always just at home. NOT that I'm complaining, though. I love my job! I'm just trying to compare.) I stayed at home and decided to organize my stuff. 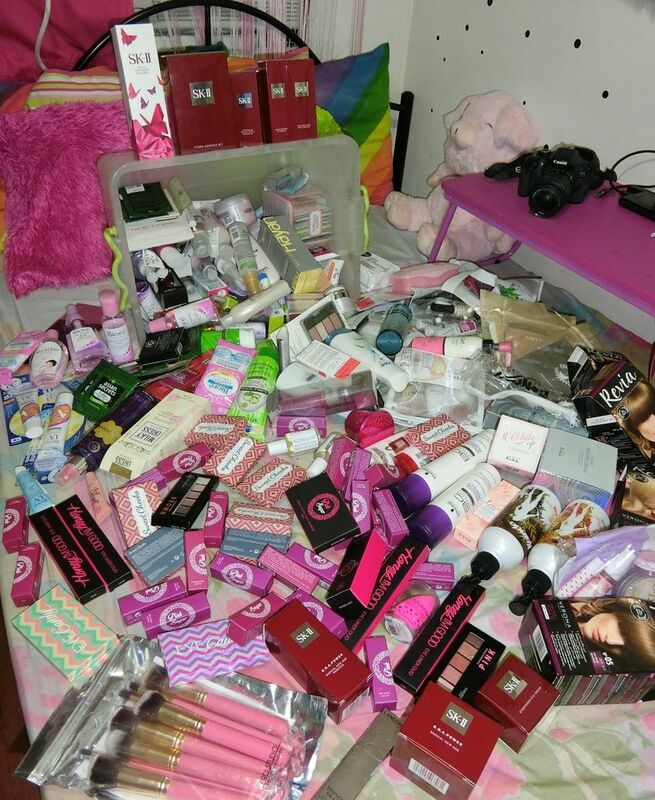 First, I organized all the products that I got for 2015. This is just half of all the products I got for 2015. Some of them I have used already and some of them I already gave away to relatives and friends. One of the things I'm thankful for is that I was able to work with brands and companies last year. It's overwhelming to think that these known brands trusted me to work with them I'm really so grateful! Next, I organized my coins. 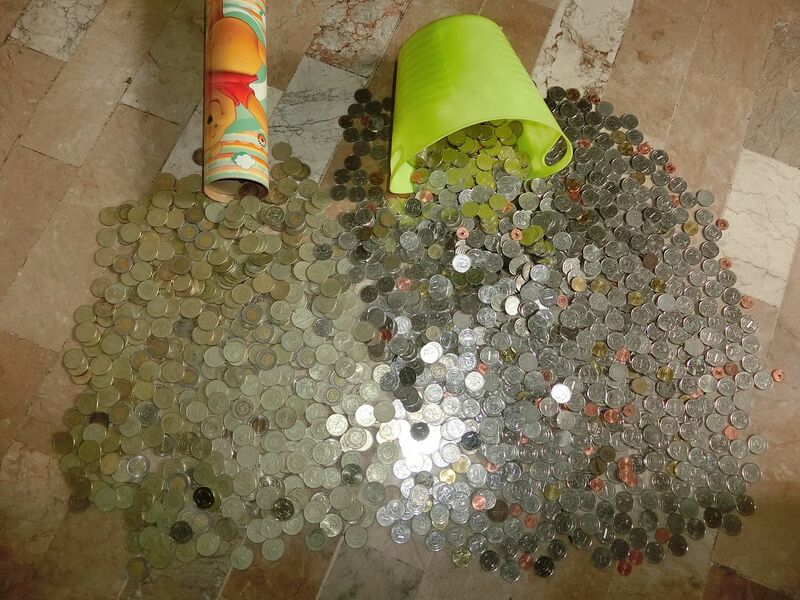 Last year, I kept all my changes and coins in two separete containers. One for the 5 and 10 Pesos coins and the another one for the 1 Peso and other coins. I guess breaking piggy banks on New Year will bring luck! I hope! New Year is also the time for a New Look! It's been a long time since I last had full bangs ala Koreana. What do you guys think? Drink lots of water and sleep early. Be consistent in uploading videos. Spend less on material things but more on experiences. So, that's the latest update on your favorite Filipina blogger's life. How about you guys? I want to know how you spent the first day of your 2016! Leave them in the comments section below! Happy New Year, my lovely readers! Thank you for always reading! Mwah!